He is the greatest of all devotees. Vaisnavanam yatha sambhuh: Sambhu, or Lord Siva, is the ideal Vaisnava. He constantly meditates upon Lord Rama and chants Hare Rama, Hare Rama, Rama Rama, Hare Hare. Lord Siva has a Visnu-Svami-sampradaya, which is called the Visnu Svami-sampradaya. Lord Siva continued: Any person who is surrendered to the Supreme Personality of Godhead, Krishna, the controller of everything — material nature as well as the living entity — is actually very dear to me. You are all devotees of the Lord, and as such I appreciate that you are as respectable as the Supreme Personality of Godhead Himself. I know in this way that the devotees also respect me and that I am dear to them. Thus no one can be as dear to the devotees as I am. It is said, vaisnavanam yatha sambhuh: Lord Siva is the best of all devotees. Therefore all devotees of Lord Krsna are also devotees of Lord Siva. In Vrndavana there is Lord Siva’s temple called Gopisvara. The gopis used to worship not only Lord Siva but Katyayani, or Durga, as well, but their aim was to attain the favor of Lord Krishna. A devotee of Lord Krsna does not disrespect Lord Siva, but worships Lord Siva as the most exalted devotee of Lord Krsna. Consequently whenever a devotee worships Lord Siva, he prays to Lord Siva to achieve the favor of Krishna, and he does not request material profit. Because Lord Siva is a great devotee of the Supreme Personality of Godhead, he loves all the devotees of the Supreme Lord. Lord Siva told the Pracetas that because they were devotees of the Lord, he loved them very much. Lord Siva was not kind and merciful only to the Pracetas; anyone who is a devotee of the Supreme Personality of Godhead is very dear to Lord Siva. Not only are the devotees dear to Lord Siva, but he respects them as much as he respects the Supreme Personality of Godhead. Similarly, devotees of the Supreme Lord also worship Lord Siva as the most dear devotee of Lord Krsna. They do not worship him as a separate Personality of Godhead. It is stated in the list of nama-aparadhas that it is an offense to think that the chanting of the name of Hari and the chanting of Hara, or Siva, are the same. The devotees must always know that Lord Visnu is the Supreme Personality of Godhead and that Lord Siva is His devotee. A devotee should be offered respect on the level of the Supreme Personality of Godhead, and sometimes even more respect. Indeed, Lord Rama, the Personality of Godhead Himself, sometimes worshiped Lord Siva. 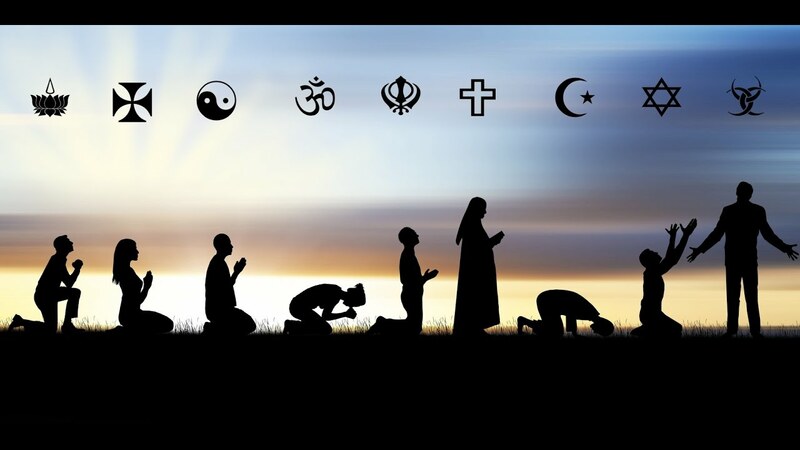 If a devotee is worshiped by the Lord, why should a devotee not be worshiped by other devotees on the same level with the Lord? This is the conclusion. From this verse it appears that Lord Siva blesses the asuras simply for the sake of formality. Actually he loves one who is devoted to the Supreme Personality of Godhead. Siva + ratri, ratri means night, so Sivaratri means the night of lord Siva. Maha Sivaratri comes in the month of Phalgun (February-March). This ceremony is observed in the honor of lord Siva, who was married to mother Parvati ( or Durga) on this day, it culminates in the night. Vaishnavas pray lord Shiva on this day in order to receive his blessings to become attached to Lord Krishna. “O Devī, the most exalted system of worship is the worship of Lord Viṣṇu. Greater than that is the worship of tadīya, or anything belonging to Viṣṇu.” Śrī Viṣṇu is sac-cid-ānanda-vigraha [Bs. 5.1]. Similarly, the most confidential servant of Kṛṣṇa, the spiritual master, and all devotees of Viṣṇu are tadīya. The sac-cid-ānanda-vigraha, guru, Vaiṣṇavas and things used by them must be considered tadīya and without a doubt worshipable by all living beings. How can we please lord Siva on Maha Sivaratri? By serving Krishna and His devotees, and by chanting extra rounds of Hare Krishna mahā-mantra on Maha Sivaratri. But another very beautiful way to please lord Siva on Maha Sivaratri is by reciting the prayers lord Siva himself sings in glorification of Krishna in Srimad Bhagavatam, also known as Rudra Gita (song of lord Siva). As per lord Siva this is the best prayer for anyone aspiring for the lotus feet of Krishna. Now I shall chant one mantra which is not only transcendental, pure and auspicious, but is the best prayer for anyone who is aspiring to attain the ultimate goal of life. When I chant this mantra, please hear it carefully and attentively. There are great benedictions given for those fortunate devotees who will faithfully recite these very sweet verses by lord Siva. A devotee of Lord Krishna whose mind is always absorbed in Him, who with great attention and reverence chants this stotra [prayer], will achieve the greatest perfection of life without delay. The Supreme Personality of Godhead is the dearmost objective of all auspicious benedictions. A human being who sings this song sung by me can please the Supreme Personality of Godhead. Such a devotee, being fixed in the Lord’s devotional service, can acquire whatever he wants from the Supreme Lord. As aspiring devotees, many a times, we feel alone, sometimes even helpless. We, however, forget that Krishna as Supersoul is always with us. Due to our ignorance and dull consciousness we may not be able to see Krishna’s hand in our journey towards Him but He is very much with us. Similarly we may not be able to appreciate and value how Krishna as Supersoul is sitting in our heart and is inspiring us to progress towards Him at every stage in our Krishna consciousness journey. Supersoul plays a very important role in the journey of a devotee. Let us find out how we can connect with Supersoul, hear His voice and take guidance from Him. Śrī Hari, the Supreme Personality of Godhead, is the Supersoul and guide of all living entities who have accepted material bodies within this world. He is the supreme controller of all material activities in material nature. He is also our best friend, and everyone should take shelter at His lotus feet. In doing so, one’s life will be auspicious. Should I take directions from Supersoul? In His Paramatma feature, Krishna is the old friend of everyone. According to Vedic injunction, Krishna is sitting with the living entity side by side. According to the sruti-mantra (dvä suparëä sayujä sakhäyäù), the Lord is sitting within the heart of every living entity as suhrt, the best friend. The Lord is always eager to have the living entity come home, back to Godhead. Sitting with the living entity as witness, the Lord gives him all chances to enjoy himself materially, but whenever there is an opportunity, the Lord gives good counsel and advises the living entity to abandon trying to become happy through material adjustment and instead turn his face toward the Supreme Personality of Godhead and surrender unto Him. Can I start talking with Supersoul right now! The Lord is the Supersoul seated in everyone’s heart, and He acts as the caitya-guru, the spiritual master within. However, He gives direct instructions only to the advanced, pure devotees. I knew there would be some catch! Unless you are a devotee, unless you are constantly engaged in the transcendental loving service of the Lord, He will not speak to you. He speaks, but you cannot hear. You have no ears to hear Him. That is not possible. Krishna is speaking. Just like Krishna is speaking in the Bhagavad-gita, sarva-dharmän parityajya mäm ekaà çaraëaà vraja [Bg. 18.66]. It is open speaking, but who is hearing? Nobody is hearing. Nobody is hearing. They have got their own conception of life. So what chance I have? When a living entity desires to serve the Lord in transcendental loving service, the Lord helps the devotee in so many ways as the caitya-guru, or the spiritual master within, and thus the devotee can perform many wonderful activities beyond material estimation. By the mercy of the Lord even a layman can compose prayers of the highest spiritual perfection. Such spiritual perfection is not limited by material qualifications but is developed by dint of one’s sincere endeavor to render transcendental service. Voluntary endeavor is the only qualification for spiritual perfection. A person in full Krishna consciousness acts by the dictation of Krishna. 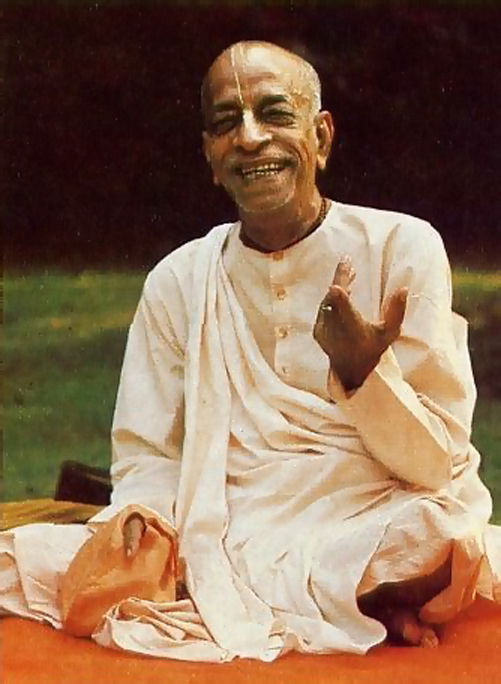 In the beginning of Krishna consciousness, dictation is received through the transparent medium of the spiritual master. When one is sufficiently trained and acts in submissive faith and love for Krishna under the direction of the bona fide spiritual master, the dovetailing process becomes more firm and accurate. This stage of devotional service by the devotee in Krishna consciousness is the most perfect stage of the yoga system. At this stage, Krishna, or the Supersoul, dictates from within, while from without the devotee is helped by the spiritual master, who is the bona fide representative of Krishna. From within He helps the devotee as caitya, for He is seated within the heart of everyone. Understanding that God is seated within everyone’s heart is not, however, sufficient. One has to be acquainted with God from both within and without, and one must take dictation from within and without to act in Krishna consciousness. In the beginning, when a devotee is serious and sincere, the Lord gives him directions from within to approach a bona fide spiritual master. When one is trained by the spiritual master according to the regulative principles of devotional service and is situated on the platform of spontaneous attachment for the Lord (räga-bhakti), the Lord also gives instructions from within. teṣāṁ satata-yuktānāṁ bhajatāṁ prīti-pūrvakam [Bg. 10.10]. This distinct advantage is obtained by a liberated soul. Supersoul manifests outside to help us! One who is sincere and pure gets an opportunity to consult with the Supreme Personality of Godhead in His Paramatma feature sitting within everyone’s heart. The Paramatma is always the caitya-guru, the spiritual master within, and He comes before one externally as the instructor and initiator spiritual master. The Lord can reside within the heart, and He can also come out before a person and give him instructions. Thus the spiritual master is not different from the Supersoul sitting within the heart. Why does Supersoul need to manifests outside? Since one cannot visually experience the presence of the Supersoul, He appears before us as a liberated devotee. 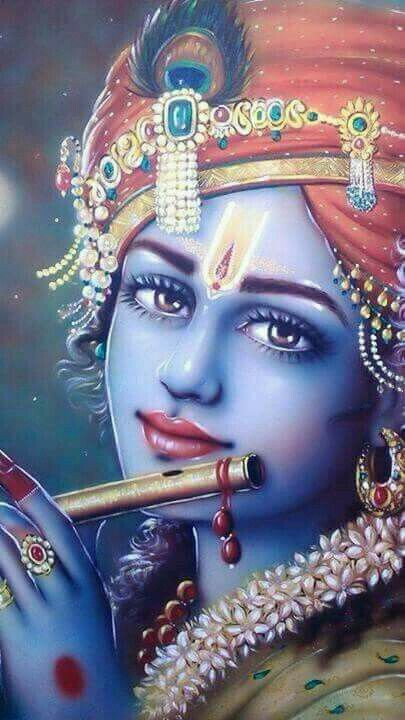 Such a spiritual master is none other than Krishna Himself. It is not possible for a conditioned soul to directly meet Krishna, the Supreme Personality of Godhead, but if one becomes a sincere devotee and seriously engages in devotional service, Lord Krishna sends an instructing spiritual master to show him favor and invoke his dormant propensity for serving the Supreme. The preceptor appears before the external senses of the fortunate conditioned soul, and at the same time the devotee is guided from within by the caittya-guru, Krishna, who is seated as the spiritual master within the heart of the living entity. Wow! can we understand it via some example? Just like we work in some big establishment, and if we can satisfy our immediate boss, that is the satisfaction of the whole company. You haven’t got to see whether all the members of the company have become satisfied. Simply the immediate boss under which you are working, if he is satisfied, then you know the company is satisfied because he will submit the report of his work. Similarly, Krishna is very kind. He is helping you in different ways. He is within your heart. Krishna is within your heart. Antaryami, Caitya-guru. And is presenting Himself as spiritual master both ways, externally, internally. He is trying to help you. And when you are actually taking the advantage of that help, and if you are engaged with love and affection in the transcendental service of the Lord, then you can talk with God from within. God is within you. You haven’t got to find out God in so many places. Anywhere you can sit down. But if you are sincere, if you are actually wanting to offer your service to the Lord—teñäà satata-yuktänäà bhajatäà préti-pürvakam, dadämi buddhi-yogaà tam [Bg. 10.10]—He will give you intelligence. Simply we have to become sincere servitor. So it doesn’t matter whether one is householder or a brahmacari or sannyasi. He has to become first of all sincere servitor of the Lord. Then everything is complete. The Lord is within you. He will give you all knowledge, all enlightenment, all dictation, and He will make your life progressive. 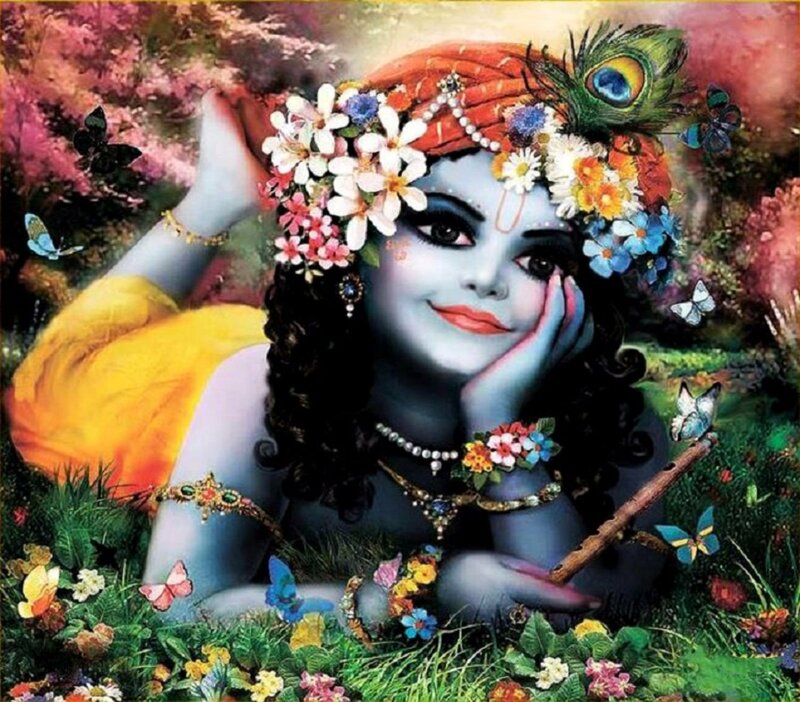 I hope and pray that by reading the above we all can develop more faith to understand how Krishna is sitting within us as Supersoul and more importantly, we can appreciate how He is actively thinking about each one of us. Krishna loves each one of us and for those who are sincere, Krishna directly facilitates all arrangements so that we can go back to Him. 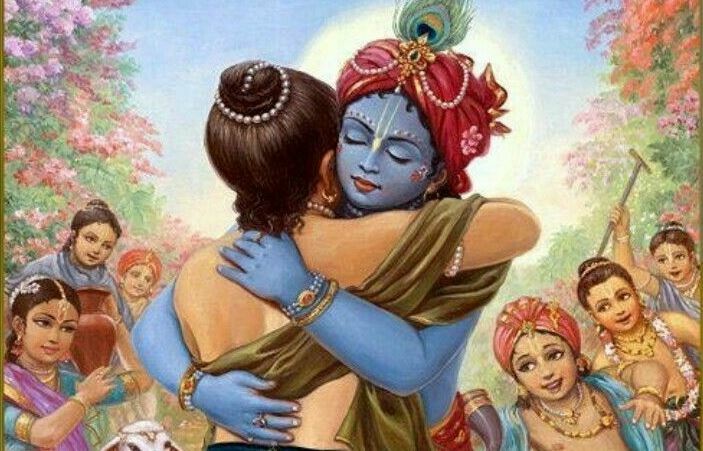 For showering such love and personal care, what should be our feelings towards Krishna? And then what should be our feelings and attitude towards those great souls, whom Krishna has made His instrument of compassion and sent them to guide us in our spiritual journey. They are His direct representatives. Krishna Himself is helping every one of us internally as well as externally. 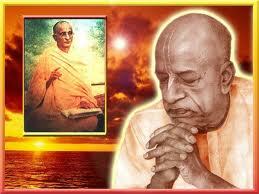 Srila Prabhupada explains that there is no difference between internal instructor and external instructor. Can I work on my consciousness to see them non-different from each other? Simply by accepting and acknowledging our spiritual master, shiksha guru and senior counselor as an external manifestation of Krishna, by valuing their association and contribution in our life, by following their instructions, we can attract further mercy of Krishna and make very rapid progress in Krishna consciousness and one day soon it may be our turn to start receiving direct instructions from someone very special within us, the stealer of hearts, Sri Krishna Chandra.